NASHVILLE — Track and field standout Clairwin Dameus (Boynton Beach, Fla.), a 2016 graduate of Tennessee State, will represent the United States at the North American, Central American and Caribbean (NACAC) Athletics Association U23 Championships on July 13-18 in El Salvador. At the competition, Dameus will compete in the heptathlon, an event in which she earned USTFCCCA Honorable Mention All-America accolades during the 2016 outdoor season. The Boynton Beach, Fla. native finished 23rd in the 2016 NCAA Outdoor Championships in the heptathlon and 21st in the event during the 2014 outdoor season. Dameus’ personal record in the heptathlon came in April when she scored 5,729 points to earn fourth place at the Bulldog Heptathlon in Athens, Ga.
During the indoor season, Dameus became TSU’s first two-time Division I First Team All-America honoree, earning the recognition in the pentathlon and the long jump following her performance at the NCAA Indoor Championships. 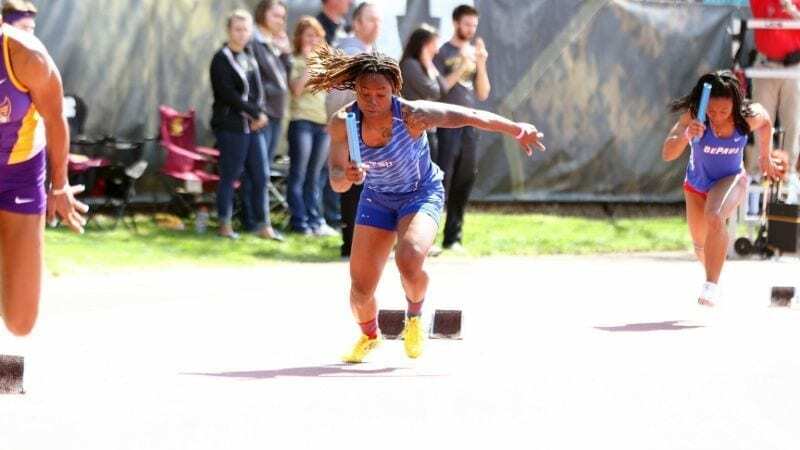 She was also named Athlete of the Meet for the Ohio Valley Conference Indoor Championships for the third year in a row and was the first TSU student-athlete to earn OVC Female Athlete of the Year.